There is something happening down in the basement, but what is really going on in the workshop? 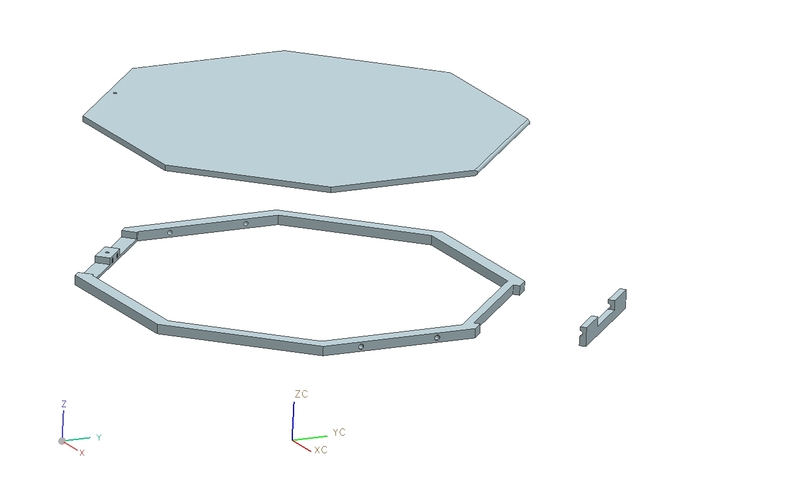 Well, as the drag test is coming up it would be cool to have two fully functional prototypes in order to prepare one while the other on is being tested. So I started to produce another prototype and be sure, there are more coming. However, as the prototypes need to have a functioning cover they will get a top frame and a cover according to a design from Mario. Unfortunately the manufacturing of the frame doesn’t seem to be as easy as everyone thought. At first cutting the inner part out just using a jigsaw felt right, but cutting aluminium with a jigsaw is no fun. So I am back to milling again. I just hope this works out without any incidents this time. Getting involved in the team doesn’t take long, especially as the CDR is inevitably coming closer and closer. The first day I spend on the team David and me where sent to the deep dungeons in the basement where we should manufacture the first mock-up. 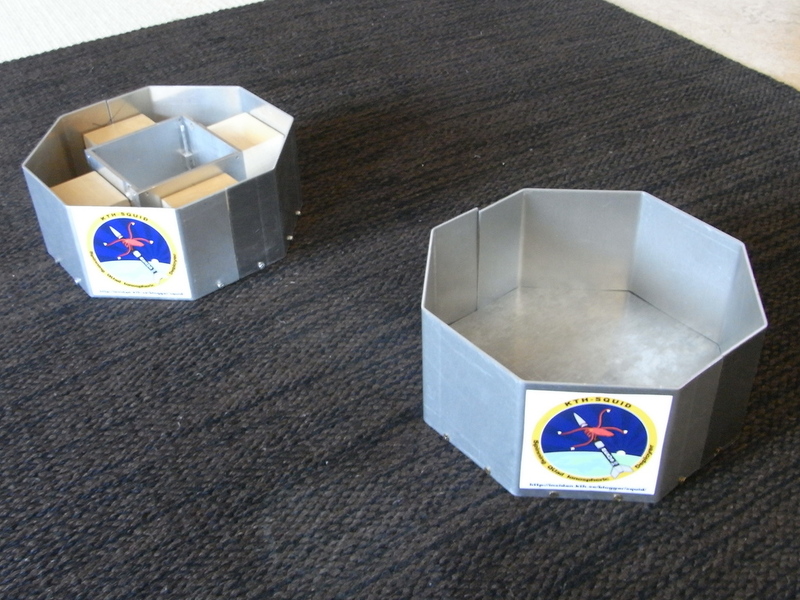 The main idea is to have a model of the experiment to test the folding of the parachutes and the ejection mechanism for those. So we got introduced to the machines and started milling the bottom plate. First everything went alright. However after some time, when we actually didn’t even mean to mill anything but wanted to change the position of the milling tool, we cut a deep hole into the rotary table the part was fixed on. I am still thankful and impressed how calm Lasse stayed, because I somehow expected him to lose it. Anyhow, lesson learnt, do never interfere with each other when working on a machine. The next day we went even deeper into the basement and bent some sheet of aluminium to get the walls. Nothing special there except for the really noisy plate shear that sounded like a small gas turbine. Some days later I drilled and threaded a couple of holes to set the whole thing together, while David bent some sheet metal as a model for the SCALE-System. So now we got a preliminary mock-up and it somehow makes proud to produce something for real! After two presentations at Bergtorpsskolan in Täby and two more at Naturvetargymnasiet in Södertälje the school visit part of our outreach plan is done for the time being. All work is now focused on the tasks that need to be finished for the Critical Design Review in the beginning of June! One such task is choosing the proper streamer for the landing system. In order to minimize the risk of the parachute getting entangled with the free-flying-unit (the ejected part of the experiment), it needs to be pulled out and away from it. We hope to be able to do this with a simple streamer, which is kind of like a long ribbon of cloth or plastic. Streamers are commonly used on model rockets in place of parachutes, but we haven’t found any good info on them being used for anything bigger. This means we have to do some testing! What we’re mostly interested in is how the drag from the streamers varies with speed, the weight of the material, and the dimensions of the streamer itself. This weekend I have a great opportunity to test just this my holding them out on a stick from a car, but first I need something to test! During lunch today I headed to a hobby store which just happened to have some streamers for model rockets at hand… including some big 7*70 inch ones! The model rocket streamers are very light while the info we’ve found on the subject says that a heavier streamer might provide a lot more drag. 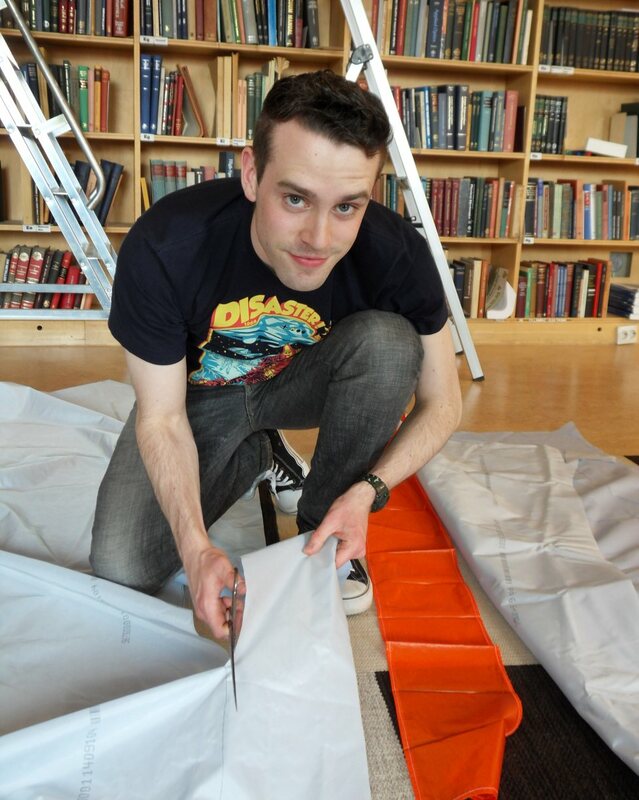 However, thanks to the LAPLander team we have a lot of thick, heat- and tear-proof airbag cloth lying around at the lab, so I immediately got to work cutting out more streamers of various dimensions from that. It’s going to be fun sitting in the back seat of a convertable testing all these during the weekend, I’ll write up a post about how it went next week! 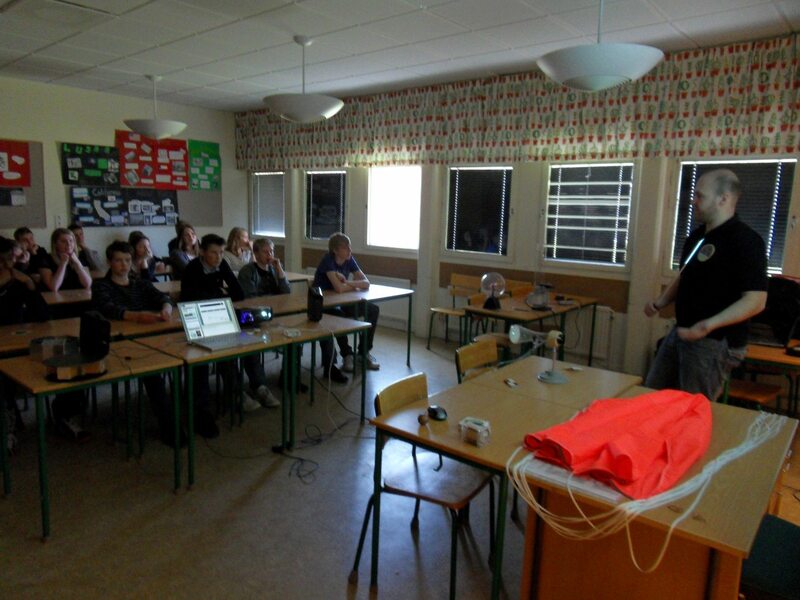 Oh, and here’s a pic from one of the presentations we held at Bergtorpsskolan. It’s been great fun and the students have been really interested, and haven’t been afraid of asking us tricky questions! Hopefully we can go out and do this again after summer.